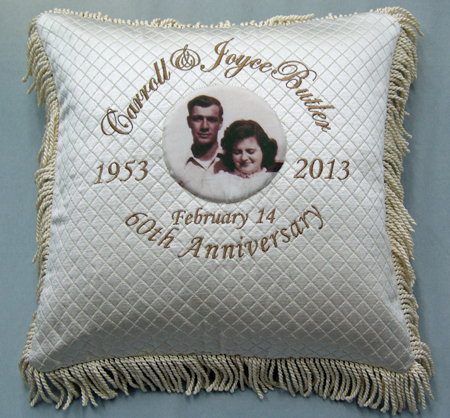 A few months ago Gina sent this photo of a gorgeous pillow she made as a gift for her aunt and uncle’s 60th wedding anniversary. Here’s her story of how the pillow came to be. 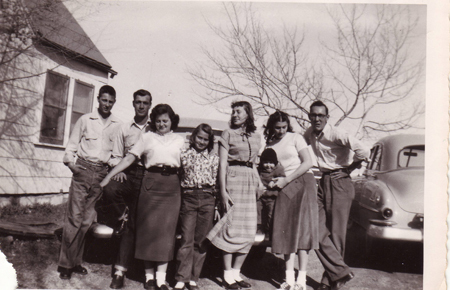 The photo started out as a tiny 3″ x 5″ group shot of my husband’s Dad and his siblings. 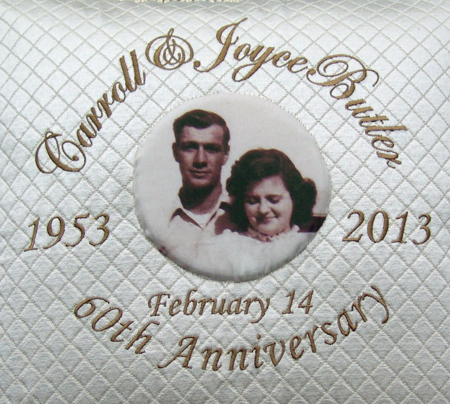 His Uncle Carroll and Aunt Joyce were newlyweds of two weeks. My MIL thought she was helping and had the picture enlarged at a copy shop – of course, it was grainy. 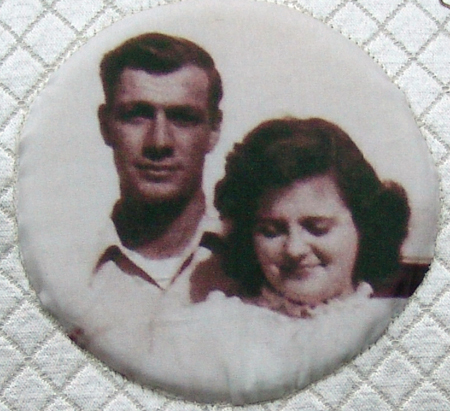 By scanning the original and using software to enlarge and crop the image of the couple, I was able to get a usable print. Using BERNINA Embroidery Software, I added a basting circle in the middle the pillow front for the placement of the fabric-printed photograph to the embroidery design. I used Edwardian Script that is a TT TrueType font on my computer for their names. I used TT Monotype Corsiva for all other lettering.